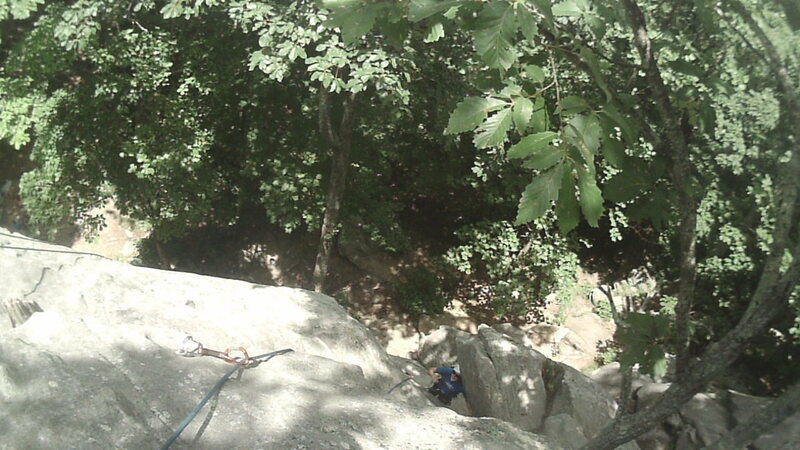 Top down view of the crux on three. V slot with smooth walls to fit through. There's a small nearly invisible (from below) pocket on the climbers left about 2/3 of the way up the slot.